Castlegar Part of the BC Adventure Network. Over a million web site visitors annually ! The surrounding lakes and mountains offer unlimited outdoor possibilities. Tremendous fishing on both big rivers as well as the Arrow Lakes, combined with the convenience of Syringa Creek Provincial Park adds up to everything you need to fully enjoy Castlegar. 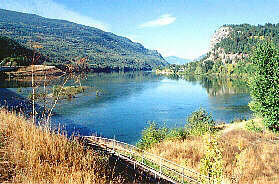 Access: Castlegar is serviced by commercial air and bus lines. 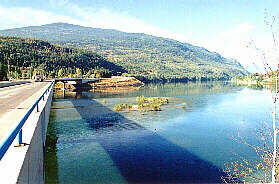 Highways 3, 3A & 22 all meet at Castlegar. 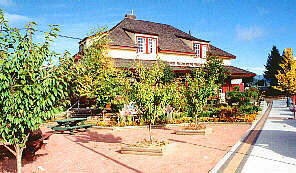 Accommodations: There are a variety of motel/hotels located in Castlegar as well as nearby provincial and private campgrounds.